Beautiful Back Bay Three Bedroom Home with Garage Parking! Stunning three bedroom home with sweeping Charles River Views, direct elevator access, and garage parking included. Gorgeous living room with 14 foot soaring ceilings, 9 foot tall windows, pristine Cherry hardwood floors, and gorgeous moldings throughout. Amazing gourmet chef's kitchen with Sub-Zero fridge, Viking wide fridge, and an AGA Legacy stove. There is a separate dining area off the kitchen perfect for entertaining. 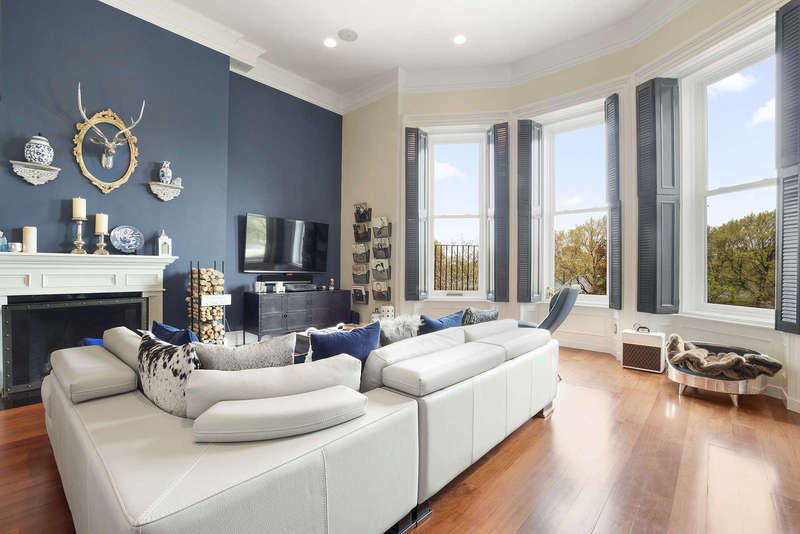 Master bedroom features huge windows facing Beacon Street with city views, a walk in closet, and a beautifully renovated en-suite marble bathroom. Second bedroom spacious with wonderful closet space and a full bath right next door. The third bedroom is lofted over the living room with pretty French doors for privacy, lots of light, and Charles River Views. It has an en-suite full bath, a sitting area and amazing storage space. There is a large common roof deck with lovely views of the River. Truly a special home in a fantastic Back Bay location!